Unit loads are typically pallets or boxes. Only the flow of materials is usually automated. The degree of automation varies based on the needs of each facility. Preference for automation is given to warehouse components whose volume, repeatability and load dimensions merit it. Here we discuss state-of-the-art warehouse automation systems that increase productivity, reduce operating costs, maximize space and assure inventory security. Shuttles sit on a cradle on standby awaiting the arrival of a pallet from a checkpoint. An inbound conveyor signals that a pallet is present, then a stacker crane carrying the shuttle picks it up and moves to the designated storage channel. 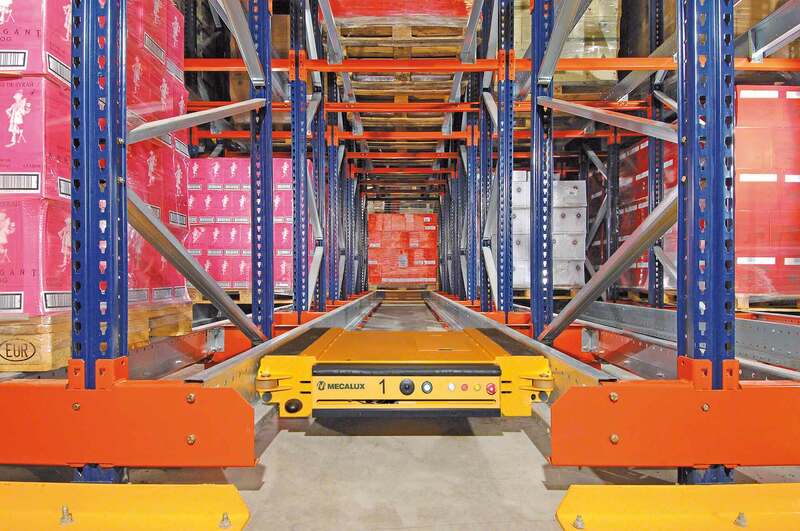 The shuttle then slightly raises the pallet, inserts it into the channel and then moves along a rail until it arrives at the deepest vacant location where it lowers the pallet into its storage position. Once the shuttle has finished executing its order it automatically returns to its cradle in the stacker crane and both elements wait to receive the following order. Stacker cranes are advanced machines which move along rails installed in flooring and are used for efficiently locating, depositing and extracting unit loads. They are classified for light and heavy loads and by whether they have single or twin-mast designs. Based on the characteristics of the load and the arrangement of the racking and operational systems, stacker crane load-extraction systems may use telescopic forks, pallet shuttles or roller conveyors. The Miniload System is ideal for goods-to-man strategies when storing small and medium-sized load units. These innovative storage solutions save both time and space and are available in models capable of handling up to 540 boxes per hour (270 coming in and 270 going out). The standard configuration consists of two racking units and a single stacker crane, however it is possible to install multiple aisles and robots which can multiply picking positions. Aside from these main warehouse automation components, don’t forget to consider the software systems required to operate them and regulate the flow of inventory. For example, control software is responsible for executing specific movements, while management software decides where to place stock and monitors exactly where products are at all times. Warehouse management systems (WMS) essentially act as the nerve center that monitors and controls all critical facility operations and are especially important in automatic distribution centers. To obtain the highest productivity of your automated installations, be sure that you count on high quality software that is tailored to your specific needs.